Next month Kyosho and SunKus are coming back to the good old blind box system. But this time there is only two different cars in the collection : the good old Fiat 500F and the new Fiat 500. 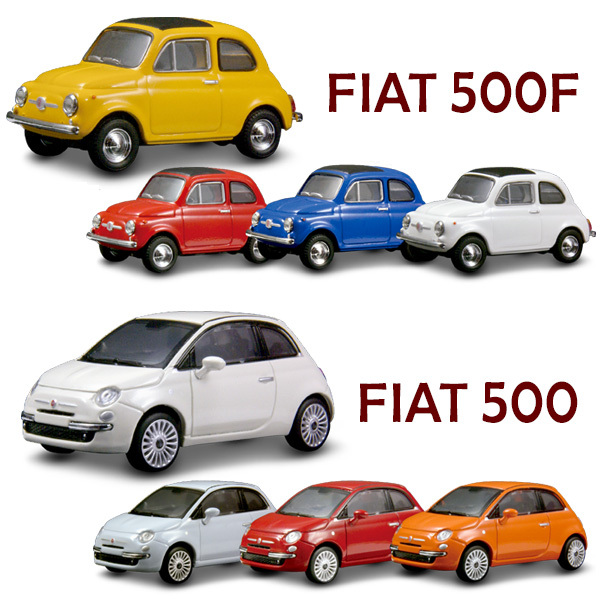 Both cars will be available in four colors for a total of 8 variants. 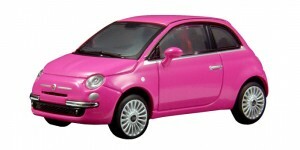 The online exclusive will be the accurately named Shocking Pink Fiat 500.